The island of Montserrat was first discovered by Columbus in 1493, and he named it Santa Maria de Montserrate, after the Blessed Virgin of Monastery of Montserrat. 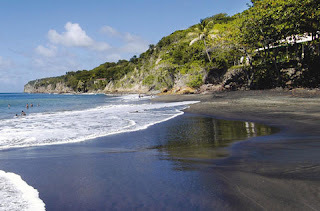 In 1632, suffering anti-Catholic protestations, a group of Irish moved from Nevis to Montserrat. This gave the island its nickname of "The Emerald Isle." A nickname derived from its coastal similarity with the island of Ireland, and for these new Irish inhabitants. This arrival allowed England to take control of the island. In 1798, a failed slavery uprising on the island gave rise to another one of Montserrat's uniqueness. The island is now one of only two countries in the world that celebrates St Patrick's day as a public holiday! The other, of course, being Ireland. 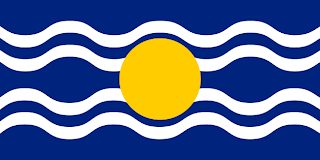 From 1871 to 1958 the island was governed as part of the federal colony of the Leeward Islands, then from 1958 to 1962, it was part of the short-lived and ultimately aborted West Indies Federation. The island has suffered 2 major disasters in recent years. In 1989, Hurricane Hugo led to massive devastation of the island, then in 1995, the islands Soufriere Hills volcano rumbled into life, and destroyed the islands capital city. The eruption also destroyed the islands airport, and dock facilities, as well as making the southern half of the island uninhabitable. However, even with that, the island still remains a desirable place to live, as it is still quite lush and green, and since the volcano, new air and sea port facilities have been built, as well as a new capital city being constructed. 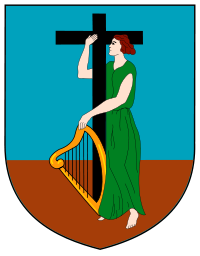 The coat of arms for the island of Montserrat features a lady dressed in green. She is Erin, a human personification of Ireland. She is holding a harp, another symbol of Ireland, as well as a cross, a symbol of the islands major religion, Christianity. 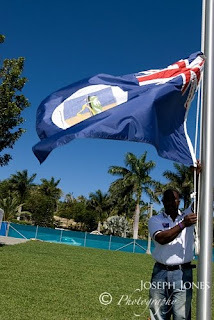 The flag itself is again a British blue ensign featuring the islands shield in the fly. 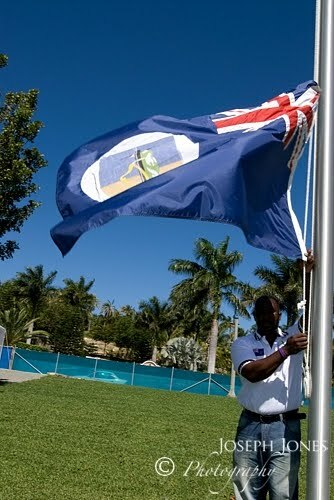 It was awarded to the island very early, back in 1909.